MSV have confirmed reports that the June round of the British Superbike Championship at Knockhill will now run in the opposite direction for the first time.The Scottish circuit is celebrating its 40th anniversary this year and has spent over £100,000 renovating safety facilities in order for the change in racing direction to take place. 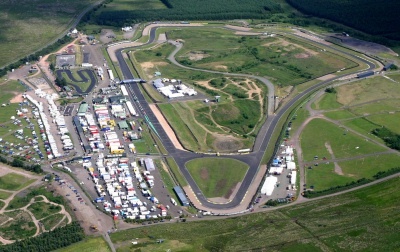 Knockhill Chief Executive Derek Butcher also explained: “We invested in giving Scotland, and Britain, another circuit over the winter of 2011/12 and since then, the “new” circuit has provided such a different challenge, and for many, they prefer competing on it! Once a rider has done 40 – 50 laps to get into a rhythm, we are convinced that all the BSB riders and those in the support classes, and not least the thousands of spectators, will love the new challenges of this new layout. It will be fascinating to hear the feedback from the riders in May after they have had a few sessions to get familiar with Britain’s newest track”.